No matter what continent you visit in this world, you will find stories about the paranormal and unseen. Intriguingly, you can take two separate countries, and come up with similar stories and monsters. There are dragons in both Chinese and European folklore, for example. You’d think that if something truly didn’t exist, its story would be isolated only in the area it was possibly made up in. However, when similar-looking monsters, beings, and apparitions start to appear on the opposite end of the world, it starts to make you wonder if they really exist. It’s established that these entities have similarities when it comes to their characteristics; sometimes physical, sometimes behavioral. The fact is, these creatures are given different names all around the world by different nations, even if they could possibly be describing the same creature. 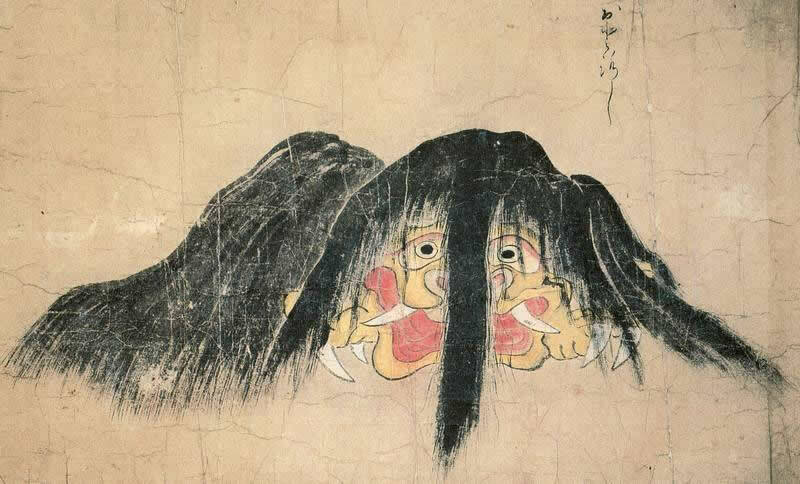 In Japan, there is a category of supernatural entities called “Yokai” – and this article will discuss everything about them. Folklore in Japan: What Is Yokai? The Japanese word “Yokai” refers to the general idea of a paranormal spirit, though it doesn’t have any direct English noun attributed to it. It’s not limited to just a paranormal spirit, see, as this spirit can take on many forms and have different intentions. References to the word Yokai are so broad that this single word encompasses English definitions include phantom, monster, ghost, fairy, poltergeist, demon, and more. Count in gods, animalistic transfigurations, unexplainable phenomena, and urban legends. To get a better understanding of the word, break down the Kanji term “Yokai” into its root words; “yō”, and “kai”. “Yō” can mean attractive, calamity, or bewitching, while “kai” refers to wonder or mystery. Combine those and you get a phrase that describes the entire segment that Yokai represents – anything that presents itself as, perhaps, a bewitching wonder. A “mitama” is what the Japanese refer to as a spirit that is honorable, and that spirit has two sides; violent (ari-mitama) and productive (nigi-mitama). Initially, all mitama show themselves as ari-mitama, which the human it presents itself to must find a way to subdue it, turn it into a deity, or exorcise it. If they are successful, the spirit could become a “kami” or Shinto god in some instances, in other instances a simple nigi-mitama that could bring them good fortune, especially in their harvests. If the mitama is left unattended, it turns into a full-fledged yokai, that could make itself evident in several ways. The Japanese have a few systems of numbering and labeling the ways and types that Yokai appears in. One of the simplest ways is the one found in the book “Sogo Nihon Minzoku Goi”, which details Japanese Folklore. This way labels Yokai depending on where they appear – through animals, through sounds, in paths, mountains, water, trees, the sea, and snow. A Sign Of The Times: What Happened To The Yokai? The history of the Yokai dates all the way back to Japan’s ancient times. When animism was still rampant in Japan, Japanese ancestors believed that “Mononoke” resided in everything. The idea of the Mononoke came from Chinese scriptures and literature, written as early as the first century. A Mononoke is a spirit full of emotions that could possess you and alter your behavior, and could possibly put you in great suffering that could possibly lead to death. There are four subtypes of Mononoke; the “ikiryō”, “onryō”, and “shiryō”. An “ikiryō” is a spirit that manifests to you that temporarily detached from a living being. A “shiryō” is the spirit of someone who is dead, and an “onryō” is a wrathful spirit that means to cause harm. A Mononoke does not necessarily have to be mischievous or malevolent, some of them (if they are peaceful like the nigi-mitama) can bring many blessings and good tidings. Many stories of Mononoke emerged during the Heian period (794-1185). They were often blamed for diseases that plagued people then. Sei Shōnagon, a famous poet and court lady, mentioned the word “Mononoke” in her writings in “The Pillow Book”, referring to them as “tenacious” and “dreadful”. You’ll also find Yokai in official historical documents, such as the Shoku Nihongi. It is mentioned that there was a haunting in one of the imperial courts where they practiced Shintoism. They called for this court to be ritually cleansed through Shinto purification. While there are many references to Yokai in literature, it is not very often that they are physically or visually described. They are only mentioned in passing. As the medieval and post-classical periods rolled in, better descriptions and stories of Yokai followed. Shuten-dōji was one of them, as an example. He was a fabled demon who lived up in the mountains that were peppered between Tamba and Kyoto. He has a series of origin/birth stories, and is part of the “three great evil yokai.”. While he is depicted differently in various paintings, they usually have horns, claws, and are colored either red or blue. The general gist of these stories would point towards humans being bothered by Yokai, eventually finding ways to ward them off or exorcise them; connoting humanity as a superior, more powerful race. The Edo period had, even more, publications of Yokai, and these were better-kept due to the printing press being more technologically advanced. Shokoku Hyakumonogatari is a book of assorted monstrous creatures and their legends and was published during this time. It then appeared in Sesetsu Kojien, which is a special dictionary and is called “mysterious phenomena” such as strange sounds and animal howls that townspeople would hear, despite there being no animals nearby. Later documents would shrug Yokai off as manifestations of fear, which indicated that people were questioning if they really did exist at all. They would continue to be blamed for many unexplainable occurrences well into the 20th century (and even the 21st) and are often depicted in stories in modern media such as novels, comic books, television shows, anime, feature films, and video games. Sightings in Japan: Do Yokai Still Exist? It is true that there were many more legends and stories that talk about Yokai during the ancient times than there are in the more recent periods. The ones that were written during the later periods of history are usually more specific with its descriptions and depictions of the entities, and the yokai’s existence is questioned or attempted to be rationalized. Perhaps, this is so because of the dawn of scientific studies and breakthroughs. Nowadays, Yokai is considered folklore and are not blamed for as many mysterious occurrences as they were before. There are hundreds of yokai – but some of them are more popular than the others. Here are three examples of popular yokai, and their short descriptions. The Yatagarasu is a three-legged legendary crow that lives in the sun. This legendary creature/god signifies rejuvenation and rebirth. It’s usually used as a symbol of postwar peace and recollection. The Yatagarasu is also referred to as the eight-span crow. Legend has it that Japan’s first emperor was kept company by one, and helped him through mountainous terrain around Japan, which he would soon reign over. A Wanyudo is a yokai of a face that is in excruciating pain plastered on a burning wheel. It’s also named “Soultaker” or “Firewheel”, because it is said to guard the gates of hell, snatching the soul of anyone who would cross him on the path to the underworld. The face on this wheel is said to belong to an old Japanese Feudal Lord who was punished with eternal torment to pay for torturing his victims with an ox cart. A Rokurokubi may seem to be a normal human being – but it’s not. Depending on the kind of Rokurokubi it is, it can stretch out its neck for meters, or detach its head completely, letting it fly off independently. They usually live in disguise as a human, but once they are found out to be the yokai they are, bring bad fortune to those who uncovered their secret. Amuse Museum stays true to its name and will amuse you with its generous exhibition on Yokai material and information. 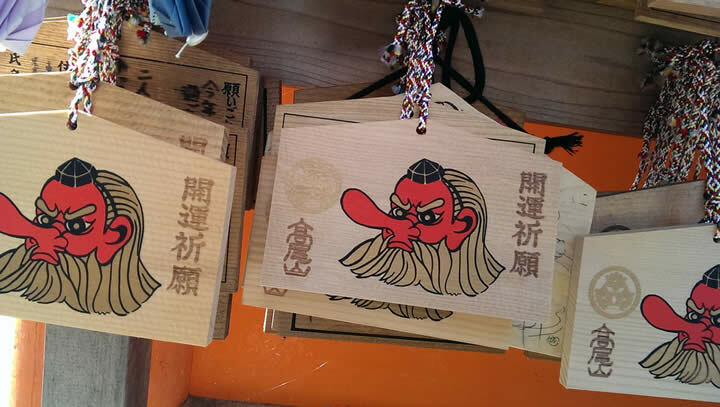 They’ve got full-fledged, colored character examples of various yokai creatures that you and your family would surely enjoy looking at, and will learn a lot from. A little less-known museum found in Miyoshi is the Yokai Yashiki. Although it may not be ranked as the best museum, it’s a strong second, since it features mainly Yokai and other creatures in Japanese folklore. It has detailed descriptions of each creature and its corresponding tale, however, they are in Japanese. Back in the summer of 2011, there was a train that was filled with mascots that emulated different yokai in the Kyoto Prefecture. The Keifuku Electric Railroad Company first did this as a promotion back in 2007, but it was such a hit that it continued for the next four years. If you think your mom sending you to the corner was cruel, parents bring their naughty children to ride this train and purposely get scared by the yokai in costume in hopes to tame their misbehavior. Don’t worry though, the children make friends with the yokai mascots once they arrive at their station. Visiting Mizuki Shigeru Road is literally the number one thing you should do if you find yourself in Sakaiminato, or if you’re a Kitaro fan. Bursting with 485 reviews on Tripadvisor and scoring a star rating of four out of five, it features 150 statues made by Shigeru (a famous Japanese monster comic artist) himself. Because many images of yokai rely on written descriptions, Shigeru brings life to them by sculpting these monstrous masterpieces himself. It’s also a shopping arcade, so feel free to purchase souvenirs as you marvel at both life-sized and tiny statues of both cute and horrific folklore creatures. Richard Freeman wrote a book about Yokai, and it’s called The Great Yokai Encyclopedia. It’s rated 4.1 out of 5 on Goodreads, but it scores a 4.5 on amazon. The paperback version costs $28. It may be a little pricey, but if you’re a fan of yokai or Japanese mythology and folklore in general, it’s a fantastic buy. It features illustrations created by Anthony Wallis and is extremely comprehensive with information about the yokai. In case you speak only English and want to know more about Japanese monsters, this book will help you out plenty. It’s also a nice piece to add to a yokai merchandise collection. If you are pinching pennies, however, know that there are detailed descriptions of all kinds of yokai online, both in Japanese and in English. You may not have noticed it, but you probably have already seen a cartoon or movie featuring yokai. Studio Ghibli has been known to add yokai to their films, notably “My Neighbor Totoro”, “Princess Mononoke”, and “Spirited Away”. Not all of them are exactly depicted, however. An example? Though there is no such thing as a “Totoro”, it’s patterned after the word “toruru”, which is Japanese for a troll. Also, the Japanese have their own versions of world-famous mythological monsters. 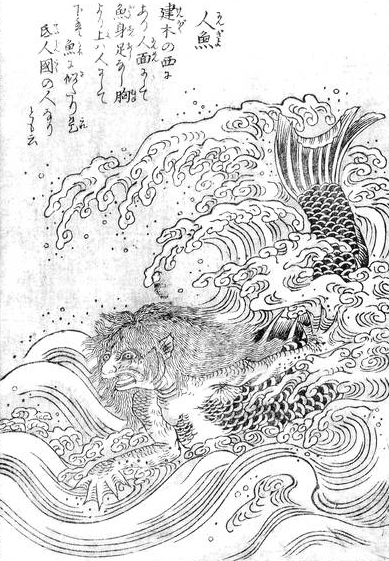 A mermaid in Japanese is called a “Ningyo”, and dragons are called “Nihon no ryū”. There have been mummies of supposed yokai found and put in museums, but after further inspection and scientific analysis of the body of the supposed kappa, the mummy was found out to be a combination of a cat and woodcock. So far, there is no evidence to support the idea that yokai exist, despite thousands of those who have claimed over the centuries to have seen and experienced them. Although they may or may not exist, that does not mean that they cannot be enjoyed. There are thousands of different yokai, ranging from a Neko (a cat) to the apparition of a woman, to animated skeletons. Reading up on these creatures can be fun, and can also give you great insights about the country the stories originate from. Visit Japan during March, July, or January and enjoy learning more about yokai.